Kent College has a long history of welcoming international students. Around one-third of our pupils are boarders, and there are over 40 countries represented in our boarding population. We have 3 boys’ boarding houses – Elfick, Gamon and Guilford, and 2 girls’ houses – Austen and Wesley. 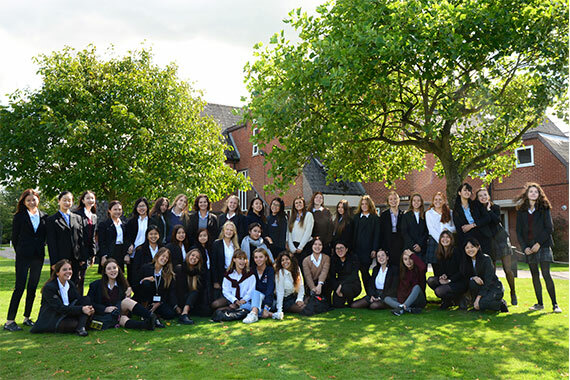 The boarding houses are a ‘home away from home’ for our international students, and we look forward to welcoming your child into the Kent College family in Canterbury. Pupils usually join Kent College in Year 7 (11+), Year 9 (13+) or Year 12 (16+), but it is possible to start in other year groups if a place is available. In addition, there is an option for international boarders to apply for a pre-Sixth place in Year 11 (15+). For those international students who need to improve their English skills before joining mainstream British curriculum classes, our International Study Centre offers an intensive English language programme. We also offer short-term boarding for one or two terms for pupils who may wish to prepare for life in a UK boarding school, or for those who would like to spend time in the UK to improve their English. Please contact our Admissions team for more information. Our EAL department offers support to all our international students who need help with their English. The level of support is based on the entrance examinations and assessments done when pupils enter the school. As pupils progress through the school they follow various EAL courses and qualifications including the IGCSE EFL course, IELTS and Cambridge examinations. 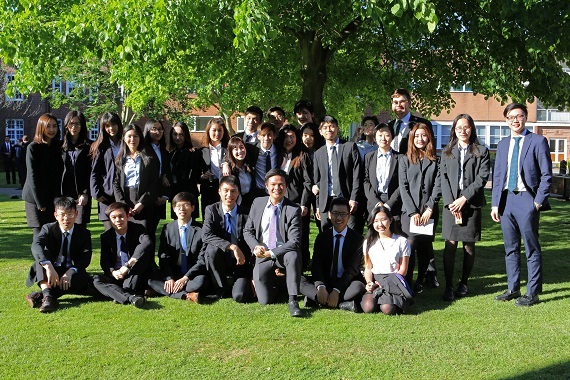 International students and parents are strongly encouraged to visit Kent College if possible. Please call the Admissions office in advance to arrange this, especially if you are making special travel arrangements to come to Canterbury. Medical questionnaire – the school is required by UK law to hold medical information including emergency contact details and parental consents for all pupils. Please note new pupils cannot start term until this online form has been completed. Laptop and IT usage agreements – these agreements summarise the commitments of the school by providing a laptop computer for educational purposes, and of pupils and parents/guardians. They also outline acceptable usage within the school premises and on school laptops. Biometrics consent form – biometrics information is used for systems such as print and copy cost control, access control, purchase of items in Cafe 1885 and registration. Induction All Year 7 pupils are invited with their parents to our New Pupils’ Information Day in June. All new pupils are asked to attend an induction morning before term starts in September. For more details about what you will need to know about for starting at Kent College please see our Joining Us section. The first stage is to complete our online registration form, and pay the registration fee. The registration fee of £100 covers administration costs and is non-refundable. Completing a registration form does not in any way commit you to the school, nor does it guarantee admission. But you do need to register for your child to be assessed for entry to the school. You will also be asked to provide a recent school report. All applicants are required to take entrance examinations in English, Maths and Non-verbal reasoning. These tests can be taken at the pupil’s own school or British Council office. In order to assess levels of spoken and written English, students are required to complete an online assessment, and may be invited for a Skype interview with a member of staff. You have met our entry criteria – congratulations! Once a place has been offered by the school you will be asked to complete an acceptance form and pay a deposit*. Most boarding places have been allocated by February for entry in September of the same year as a result early applications are highly recommended. All boarders at independent schools in the UK are required to have a Guardian aged over 25 years, and resident in the UK. Whilst Kent College cannot make recommendations, we would advise parents to use only companies accredited by AEGIS (the Association for Education and Guardianship of International Students). Parents must complete a Guardian consent form at this stage. Students from outside the EEA require a Tier 4 visa and Confirmation of Acceptance of Studies (CAS) to study at an independent school in the UK. Kent College is on the UK Visas and Immigration (UKVI) register of Tier 4 sponsors, and is therefore allowed to issue a CAS once the student’s place at school is confirmed, the Guardian agreement is in place, the deposit has been paid, and evidence of funds to cover 1 year’s fees have all been provided. All new pupils are invited with their parents to our New Boarders Welcome Day at the beginning of the Autumn term in September. For more detailed information about joining the school please refer to our Joining Us and FAQs page. If you have any questions, or would like to talk to a member of our Admissions team please email registrarseniorschool@kentcollege.co.uk or call 01227 763231.